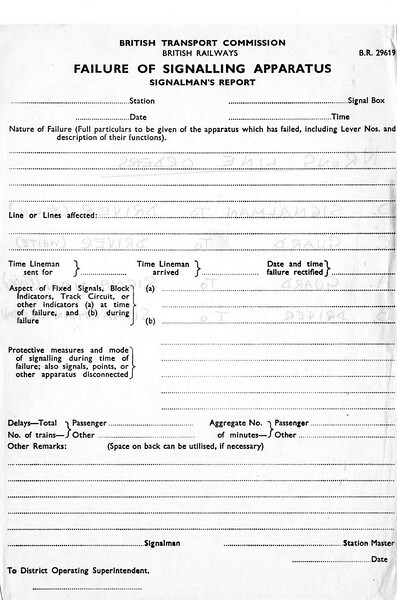 British Railways Form B.R. 29619. Failure Of Signalling Apperatus.